Versatility is the key to these baskets whether being used in a home, business or school setting. 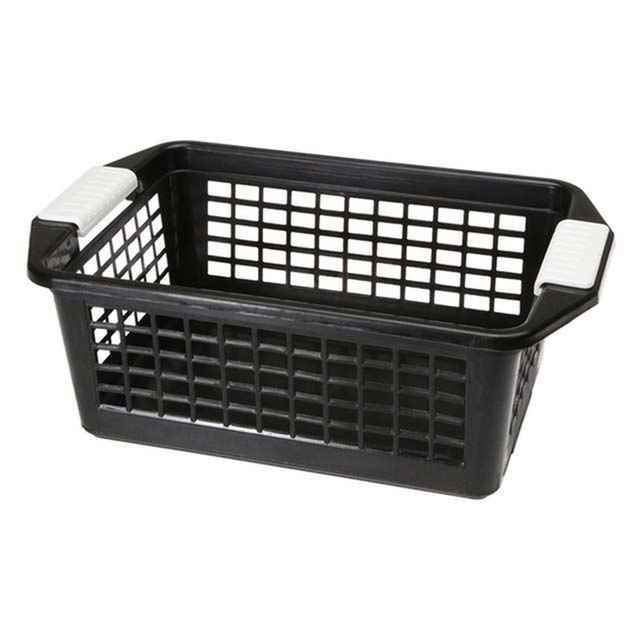 This set of 12 medium black plastic baskets makes it easy to organize prescriptions and medical supplies in pharmacies and hospitals. Looking for an attractive way to organize your classroom, crafts and supplies? These colorful storage baskets help you organize by color and then stack to maximize storage space. Made of a high quality molded plastic this basket also comes in nine colors: purple, clear, white, orange, yellow, red, blue, teal and black. This basket features unique colored flip and stack handles that allow for the baskets to be stacked on each other to maximize storage and organization or flip the handles in to conveniently nest inside each other when not in use.